What better way to have your coffee than putting it in a mug made of natural material? 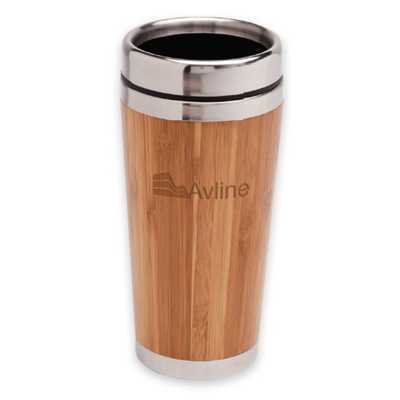 The Enviro Wooden Travel Mug is crafted from real, natural Bamboo with a stainless steel inner. It has a splash-proof lid with a tab that easily slides when you need a drink. Drinking coffee and caring for the environment go hand-in-hand with the Enviro Wooden Travel Mug. Product itself and engraving finish may differ from item to item considering the unique nature of bamboo. Laser Engrave: 25mm x 35mm wide ?